The Comedy Hit of the Summer Returns to the Olympia Theatre In 2019! Packed full of craic, huge laughs, culchies, Dubs and lots of shifting! 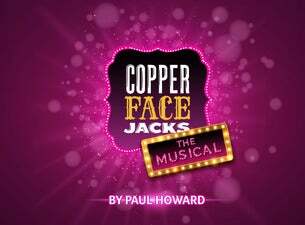 From the creator of Ross O'Carroll Kelly, Paul Howard, Copper Face Jacks: The Musical is a love story set on the eve of a Dublin v Kerry All Ireland Final, when a sweet Kerry girl ends up falling head over her flat-shoes for the Captain of the Dublin football team - Gino Wyldes. Can love conquer all as these two young sweethearts face massive cultural and linguistic hurdles on their road to happiness/Croker?